Unite the Tough. Refer the Bolero. 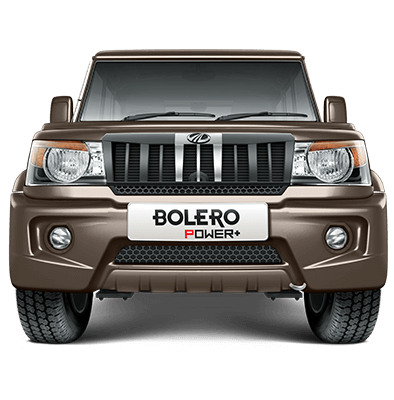 Simply refer the Bolero to your friends/relatives. Once your referred friend purchases a Bolero, you will receive a Titan gift card worth Rs.3000/-. * I hereby agree and authorize Mahindra & Mahindra Limited and all of its divisions, affiliates, subsidiaries, related parties and other group companies (collectively the "Mahindra Entities") to access my basic data / contact details provided herewith, i.e. my name, address, telephone number, e-mail address, birth date and / or anniversary date. I hereby consent to, agree and acknowledge that any of the Mahindra Entities may call/ email/ SMS me on any of the basic contact details shared by me, in order to assist with my car purchase or keep me informed regarding product details, or send me any marketing and other product or service related communication and other offers of any of the Mahindra Entities. I provide the details herein at my sole discretion and confirm that no Mahindra Entity shall be held responsible or liable for any claim arising out of accessing or using my basic data / contact details shared by me. I also consent to being assigned a unique identity within the Mahindra Group, to be shared amongst all Mahindra Entities, for the purpose outlined in this paragraph.